Throughout history, the Catholic Church has been patroness of the arts, preserving and promoting the vast treasury of sacred music. 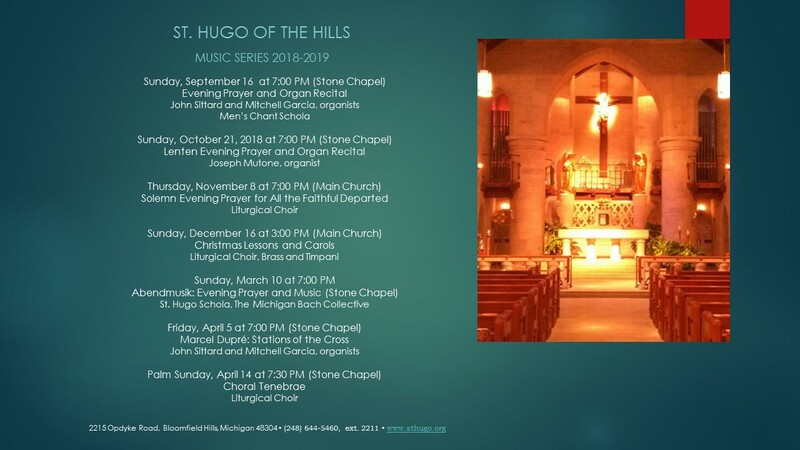 The Saint Hugo's Music Series connects this repertoire with the prayer of the Church, particularly Evening Prayer of the Liturgy of the Hours. 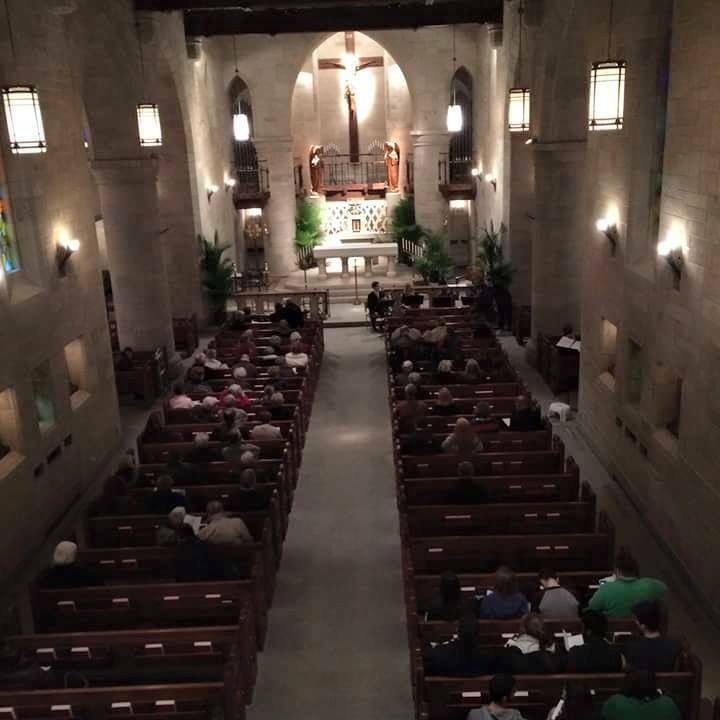 On various occasions, a short concert or musical offering in thanksgiving will follow the liturgy. We also pray and sing together during the services of Lessons and Carols and Tenebrae in preparation and anticipation of the great celebrations of Christmas and Easter.